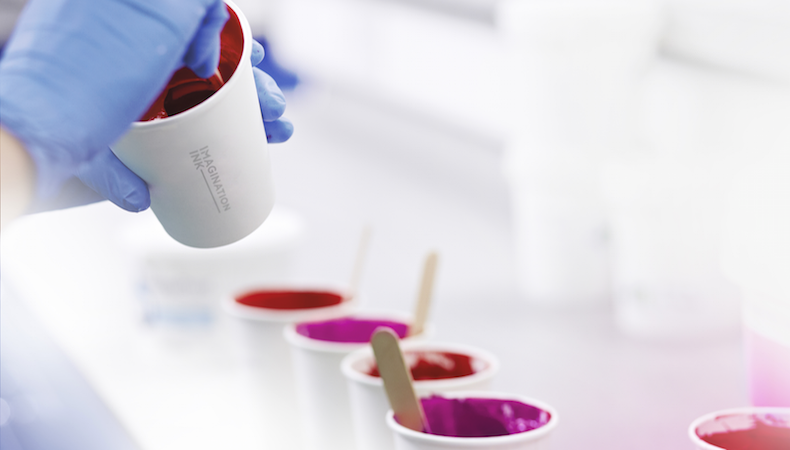 Water-based ink manufacturer MagnaColours has appointed Melvin Hall as its print technician, and Jason Chapman as its new regional technical sales manager for Asia. The new appointments will contribute to Magna’s ambition to be worldwide leaders in environmentally conscious textile printing. Melvin has vast experience in setting up textile screen-printing departments, and has worked in countries including Sri Lanka, USA, Spain, India, China and Pakistan. He also boasts experience in training workers in many aspects of screen printing. Having worked in the screen-printing industry since 1976, Melvin has been printing onto textiles and garments for over three decades, throughout which time he has worked with some of the biggest brands and manufacturers in UK and worldwide. In another new addition to the MagnaColours team, Jason has had a successful career in senior management of international businesses and consulting services for global brands in the textile printing sector spanning almost three decades. Because of this, he is perfectly placed to help Magna to develop relationships with printers across Asia, while offering support and advice. Jason has worked in Sri-Lanka, China, Turkey and many other Asian countries, with leading manufacturers and printers, introducing, supporting and encouraging the use of water-based print technologies as well as larger printing, factory design, equipment sourcing, site planning and training projects. Through working with various printers and retail clients, he has gained a wealth of experience which will serve him well with his work going forward with Magna. Earlier this year, MagnaColours launched their own education programme, MagnaAcademy, as part of their commitment to support and train screen-printers in working with water-based inks. By demonstrating the ease and quality of printing with their inks, Magna are challenging misconceptions which have been a barrier to printers adopting the use of water-based inks over harmful alternatives.